Rhinoplasty Recovery Guide 👃 - 14 - Could The Patient Drive Just After The Discharging? How long after rhinoplasty is it okay to drive? ﻿Since this question is frequently asked, I wanted to add it as a link. After the simple nasal aesthetic surgeries, the use of heavy, large and coarse dressing materials such as tampons and an old man during surgery can prevent many patients from waiting 4 hours after surgery and be discharged after eating. Especially after complicated and revision nasal aesthetic surgeries, patients may feel more pain, nose bleeding, purple eyes. Although there is no pain; even if you breathe in here; "nasal aesthetics" is also an operation and care must be taken to continue this comfortable process after the operation. The use of cars in Istanbul traffic is a stress cause alone. With the effort spent, blood pressure may increase while the car is being used, nasal bleeding and bruising under the eyes may increase. It may be dangerous to have nosebleeds when driving. In addition, in a general anesthetic, anesthesia medications and muscle relaxant drugs, even after 4 hours, may have a reduced effect and a relaxation effect. Some clinics suggest that patients can drive a car, especially from the third day when the bloody discharge of the nose is reducing. It is appropriate to use more nasal moisturizer medication to prevent nasal dryness if there is no trauma to the nose when driving or if air conditioners are open. In other words, after the operation of the nasal aesthetic, if discharged on the day of surgery, it is not appropriate for the patient to drive. 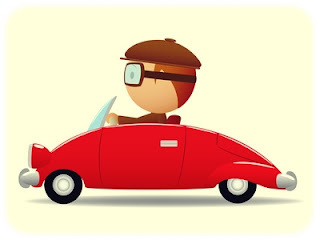 If you are discharged the next day after the surgery, although the patient may use the car for anesthesia, the nose bleeding can still be seen when the car is in use. You cannot drive yourself after rhinoplasty if you feel bloody nasal discharge from front side or back side. Internal silicone splints made of pure silicone used during the surgery have little effect on nasal bleeding. Without increasing the tension, it is best to spend one week comfortably. How long after an open rhinoplasty surgery is it okay to drive? How long after rhinoplasty is it okay to drive? Is driving after rhinoplasty possible? When can I drive myself after the rhinoplasty?